Corporate outplacement services provide an invaluable benefit to companies that are laying off or otherwise terminating employees. However, while many business leaders know about outplacement services, their knowledge is often superficial and based on what they have heard from others. This has led to many myths concerning the outplacement industry and these may cloud a business leader’s notion of how they can really help. Here are some of the top misconceptions concerning corporate outplacement services and the truth behind them. Many people assume that it’s only entry-level employees who need the type of assistance that outplacement services offer. In actuality, nothing could be further from the truth. Entry-level, mid-level and executive-level employees can all benefit from resume preparation, interview prep and career coaching. The difference is that each of them will have different angles for these areas, which outplacement services can help in identifying. Additionally, executive-level employees tend to search longer for their next position than other levels of workers, and therefore they are more likely to need the support that an outplacement firm can provide. Another myth is that if an employee has utilized outplacement services in the past, they no longer need to use them again. The thinking is that if they already have a resume and have practiced interviewing then there’s nothing else to learn. However, even veteran outplacement users can benefit from a revised and customized resume rewrite. Additionally, they can also benefit greatly from career counseling services. The goal of outplacement services isn’t just to get workers another job. Even those who aren’t seeking an immediate position can benefit. For example, outplacement services can help a worker transition into self-employment or contract work, their goal being to help the displaced worker come up with a new game plan. In some cases, this new plan can even be leaving the workforce temporarily to obtain additional training or education. Another big misconception is that outplacement services are only beneficial for workers who lose their jobs. In fact, they are also extremely beneficial for the remaining employees as well. These employees tend to suffer a wide range of emotions that career counseling can help to alleviate. While it is true that most larger companies do utilize the services of an outplacement agency, businesses of all sizes can benefit from them. Outplacement agencies have flexible pricing options that make them affordable for any budget or business size. In addition, they provide assistance for any number of displaced workers, not just larger numbers laid off in a plant shut down. Additionally, outplacement services often increase morale at the business as well as among the remaining employees, which is actually even more important the smaller that the business is. Outplacement services are indispensable in helping to facilitate large-scale reductions in a workforce. 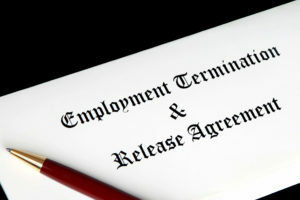 However, they are just as effective if the company is only terminating one or two workers. These responsible companies are taking responsibility for the welfare of their employees and former employees. In fact, many individuals who are terminated by themselves have greater feelings of loss and depression, making it harder for them to get back on their feet. Outplacement services can assist these employees in moving beyond their loss and onto a brighter future. Vertical Media Solutions partners with each business to assess their current and ongoing needs and develop a package that fits them in both service offerings and in price. Your transitioning employees will benefit from the full suite of our career services at discounted rates, including: resumes, CV’s, cover letters, LinkedIn development, career coaching, interview preparation, and much more. For additional information, call: 616-631-4300 ext 4.